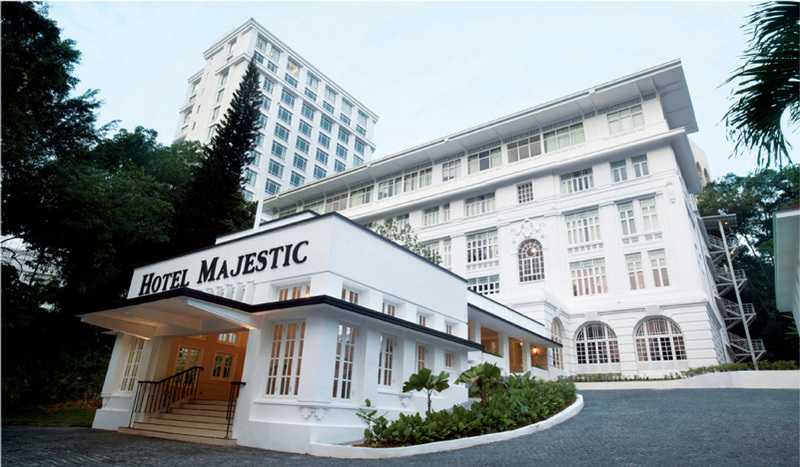 The Majestic Hotel Kuala Lumpur is comprised of the Tower Wing and the Majestic Wing. The Tower Wing features the majority of the hotel's luxurious suites and guestrooms with the Majestic Wing suites housing the sophisticated art deco style. The Tower Wing displays a more modern and elegant touch in the furnishings and design with luxurious carpeting and stylish four-poster beds. Every room and suite includes complimentary Wi-Fi. The Majestic Hotel Kuala Lumpur offers 300 charming rooms and suites, two restaurants, a spa, a tea lounge, and meeting facilities with a ballroom seating 1,200 for banquets. Perfectly positioned in the historic area of the city center and only five minutes from Sentral station, this hotel is one of the world's best in Kuala Lumpur. Guests can choose one of the two complimentary shuttle routes while staying here - the first is to the city center of Kuala Lumpur Sentral Station and the other to Starhill Gallery, the fashionable mall in the Bukit Bintang shopping area.